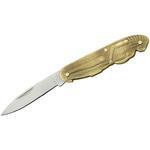 Byrd Knives focus on providing value, variety and high quality. 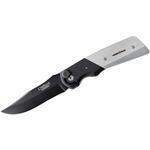 The BY08GP2 Raven 2 and BY09GP2 Crow 2 offer two-sizes of high-performance G10 handled folder at a reasonable cost. These feel like Tenacious line knives with their quality, fit and finish and they add a little something extra in terms of aesthetics. As handle materials go, G10 laminate is grip-grabbing and lightweight while it shakes off temperature extremes, chemicals and hard-use without discoloring, warping or peeling. This makes it highly prized for knife handles. 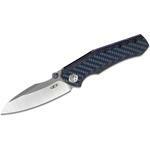 The Raven and Crow modified clip-point shaped blades are made with CTS-BD1 stainless steel. They have a centerline grind and jimping (crosshatching) where the handle and blade connect. Jimping gives the thumb and forefinger traction and cutting manageability over the sharpened edge. Running the handle's full length, tucked inside, are skeletonized steel liners for additional strength and a Michael Walker style LinerLock. The comet shaped (bird's eye) opening hole is a trademark of the byrd knife line and is synonymous with the stringent quality requirements, high performance materials and manufacturing put into each byrd Knife. It's my favorite EDC. Period.Great design, ergonomics, truly ambidextrous...I cannot complain. About anything.For the ~40 USD range, I don't think there's a better daily carry pocket knife. It's cool enough to show off, strong/well made enough to actually use with confidence, and inexpensive enough to not worry about scratching it up. Perfect balance, there. So few knives strike that balance, IMO. Great little beefy knife. To me it feels like a larger version of the Spyderco Cat. Blade is .15 thick (not .125 as mentioned) which is great. BD1 might not be the pinnacle of steel (remains to be seen), but it is the sharpest Spyderco I have gotten out of the box. Cheap and still great quality for a Chinese made knife. A+ to Byrd and Spyderco! 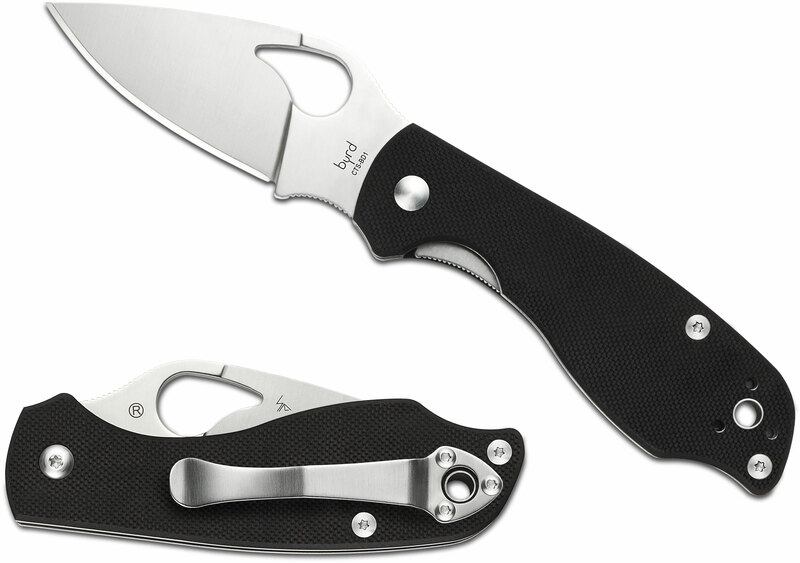 Hey, I wanted to share "Spyderco Byrd BY09GP2 Crow 2 Folding Knife 2.8125 inch CTS-BD1 Plain Blade, G10 Handles" with you from KnifeCenter.